Towards the end of September, we announced The Ralph Retort podcast Killstream's planned charity drive to benefit St. Jude's Hospital. The charity drive utilized YouTube's "SuperChat for Good" function. You could say it was a success considering over $26,000 was raised in a few hours for a good cause, but apparently some charities, unlike beggars, can afford to be choosy so when a Wall Street Journal article "exposing" Ralph dropped the money was refunded back to all the senders. In a follow-up article by Yoree Koh she blames Ralph's fans for "attacking" WSJ blaming them for having the nearly $30,000 in charity drive money refunded. Well, how do you think this money ended up being refunded in the first place? St. Jude was contacted by the WSJ reporter, a spokesperson for St. Jude's said they were aware of the super chat donations from The Ralph Retort and were arranging to reverse any donations. "We had no intention of receiving or accepting any of the funds associated with the live stream." As YouTuber Harmful Opinions pointed out, the coincidence of the timing over a month later and during the week of the WSJ reaching out to them they would decide to refund the donations. Streamlabs also banned them to cut out one more possible way for users to donate during the livestream. I find the whole situation especially bizarre considering the timing. Just last month, YouTube announced that "hateful" Super Chats would be donated to "a charity." (No word whether or not that charity would be Open Societies Foundation or one of the many OSF funded charities involved in the policy paper that inspired the Guardian article that inspired the YouTube policy) In this case however, apparently they were afraid that "deplorable tainted" lucre might make the kids with cancer sicker? Eh, that doesn't seem to make a lot of sense, but life doesn't make a lot of sense sometimes so I'll leave it at that. "The Wall Street Journal decided that political correctness and their pathetic war against emerging online competition was more important than helping kids with cancer. They should be shunned and excoriated at every turn by new media. They want people like me gone, bankrupt, and they think it's funny. But it will be us who have the last laugh. As for YouTube, they sacrificed their number one late night show, a comedy program mind you, on the altar of old media appeasement. They treat their creators like slaves and expect them to take it. Even now, they owe owe us many thousands of dollars and are likely going to try to steal that money, or else donate it to some Soros-backed brainwashing outfit. But they were quick to make sure all the charity money was refunded… probably because they didn't get a fat piece of the percentage from that pile of cash, whereas they did with money we earned from regular shows. YouTube is rapidly transforming into the new gatekeepers and are no longer worthy of support. They should be used and dumped at the first convenient opportunity, just as they've done to so many others. New streaming sites like stream.me and StreamMe have welcomed us with open arms, and thousands have followed. 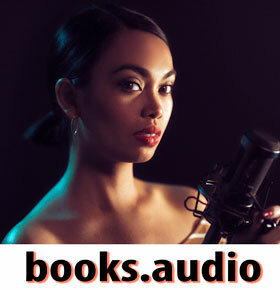 I'm very excited for the future of not only the #Killstream, but many other shows who are primed to make the jump away from Alphabet thieves." As for The Ralph Retort's Killstream, the several thousand livestream viewers a night will be making their transition to the stream.me platform. Andy Warski has also announced to begin moving his show to stream.me in solidarity. As the move towards deplatforming and breaking up means of funding alternative media continues the need for alternative infrastructure becomes more evident. In the meantime, the best thing you can do is to continue to support your favorite alt-media personalities and steer clear of PayPal, YouTube, Google and other companies that are tirelessly working to influence policy and shape the narrative to their advantage and your potential detriment. I'm pretty sad about the whole turn of events. For years, WSJ was the only print newspaper I'd ever bothered to subscribe to. I notice that tech and financial news are generally the least censored because when it comes to science, tech and finance, the actual figures matter. They would at least give you all the dots so you could connect them yourself. That said, I let my WSJ subscription lapse when I moved and judging from the current events, I can not in good faith offer money to any organization or entity that would put sensibilities regarding wrongthink at a greater priority than the lives of children dying of cancer. St. Jude's isn't completely innocent in this either. 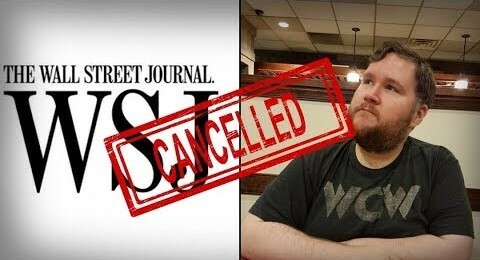 With the kind of heat that WSJ can apply, of course St. Jude's PR was likely in crisis mode and the assumption was that being "outed" for accepting money from a "far-right/alt-right" muckraker could hurt donations overall. And that's apparently what we've come to. A world where satire and unpopular opinion can be used to strip the world of even coordinating charity donations aimed at improving the lives of kids with cancer (objectively a good thing) can be stripped from you? Other members of the Ralph Retort staff had their YouTube and Gmail properties deleted without warning as well. Deplatforming unpopular opinion is becoming a common tactic and as much as it's heated up here at the midterms, expect twice as much push from Silcon Valley think tanks and MSM pushing the danger of alternative media. All plays into exposing the WSJ and Utube's one sidedness to the normies. Cause at the end of the day $$ for children with cancer should not judge the organizer. Not really surprised that the WSJ does this kind of thing. Remember when they attacked pewdiepie last year and got Youtube to demonetize a bunch of his videos and Disney to cut ties with him? At press time TRR and Warski were set to use dlive, thanks for the update re: stream.me absolutely no excuses regarding Adam/Andy "Race" Warski mixup, but appreciate pointing that out so we can correct the error.